Hey guys, first of all I want to thank everyone for clicking on my blog and reading my posts over the last 15 months!! I hit my first major accomplished while I was in Malta, although maybe to some people it doesn't seem a lot, but I hit 10,000 page views. This number is massive to me and it keeps growing, I never really know what to expect with this blog so thank you!! I thought to celebrate I would go old school and post my everyday make-up using drugstore products! I think since the last time I posted this it has changed! 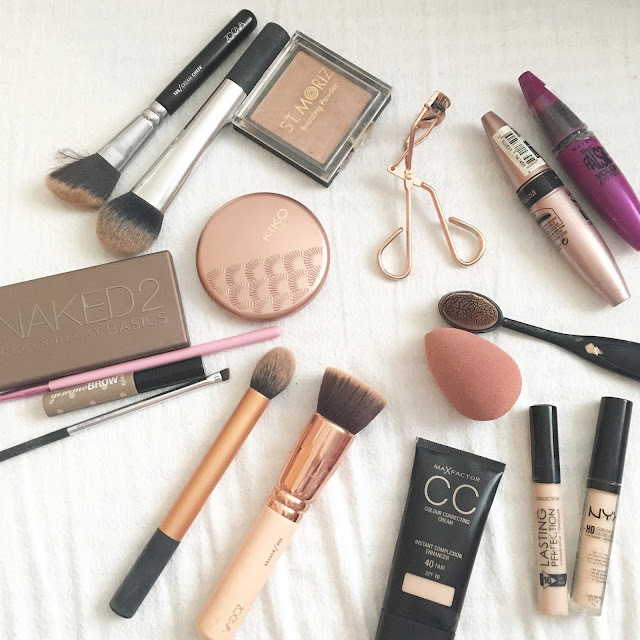 I first of all use my second (to Nars ) favourite foundation and that is Max Factor CC Cream. You can't actually buy this in the shops as it has been discontinued but I did purchase this on Amazon! I am so annoyed they stopped putting it on the shelf but glad I can still buy it! I use my Zoeva Buffer brush and my Beauty Blender to blend in onto my face. 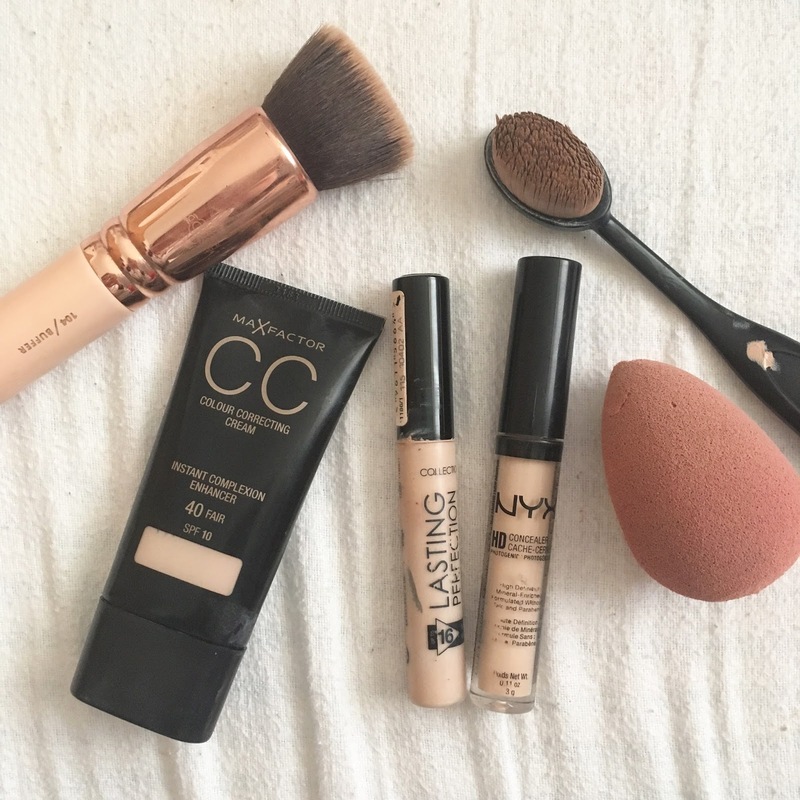 I then use I mixture of Collection 2000 concealer and NYX HD Concealer, they have a great combination for both highlight and covering blemishes. I apply it using this curved foundation brush. I bought this of Amazon, it was only £1.50 so it isn't the best but it does a pretty good job! Depending if I want a dewy face or matte, or if I have a partially shiny face, I will powder my face using Rimmel's Stay Matte Powder. 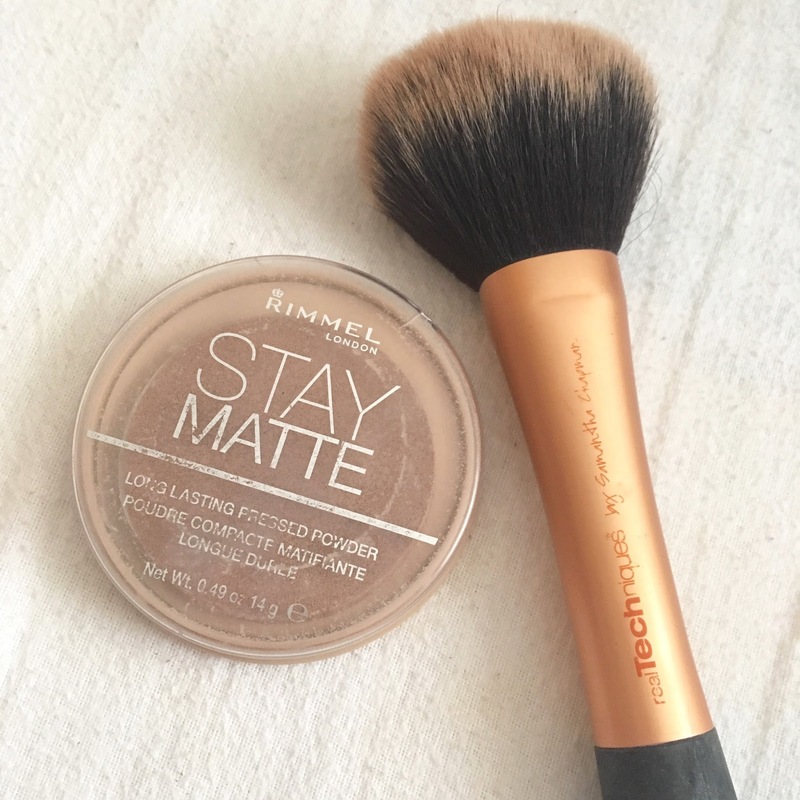 I use the Real Techniques Powder Brush, which again is one of my favourites. Whether I am doing a 'drugstore' face or 'high-end' face I will reach for this all the time, it just has the best staying power and gives my face a flawless look. I 100% would recommend this if you haven't tried it! I blend it in giving my a nice subtle contour. Depends how I feel I will highlight my face. I don't have any other drugstore highlighter other than this ST Moriz Powder. 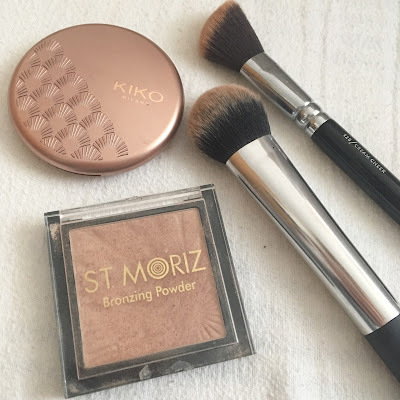 It is a bronzer powder but it is so shimmery that I apply it on top of my cheekbones to give a great shimmer. I'll then do my eye brows. I first of all, brush through my eyebrows and then use my Naked Basics 2 palette. I used the shade 'Cover' so much that I have none left so I use 'Primal'. I know Urban Decay isn't a drugstore brand but I either use Primal or a Mac Shadow to fill in my brows. Then I apply Gimme Brow by Benefit over my brows to help keep them in place. Then I will brush them out again. Lastly, my eyes. This look is normally for my work or a quick everyday look so I tend not to put eyeshadow on. If I do I will use my Naked Basic palette for a simple smokey eye. Then I will curl my eyelashes and use either Maybelline The Falsies or Lash Sensational. I will probably put a few coats of mascara to help give me volume. I will set my face depending on how long I need my make-up to stay on for, with my Urban Decay Setting spray. Ill pop on a really natural lipstick or gloss and then I am good to go! Make sure you are following my Instagram for selfies of this look. 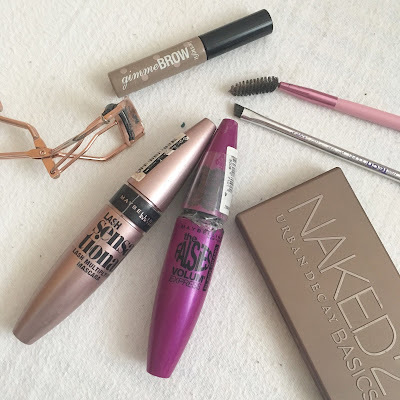 Let me know what your favourite Drugstore products are? And thanks again for the 10k!